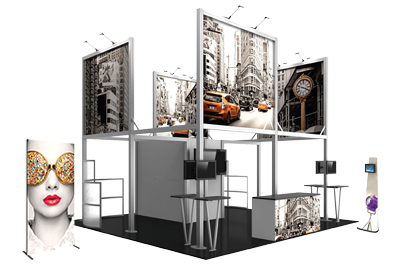 Hopup™ 2.5ft (1 quad x 3 quad) full height tension fabric pop up display is the perfect display for a variety of environments, including events and trade shows, retail, corporate and more. This versatile display is incredibly easy to set up and take down. The collapsible aluminum frame sets up in seconds without the use of tools. Included is a rolling carry bag that makes transport, shipping and storage a breeze!